"The Wrong Son". When Daniel Vogel suspects his mother isn't being honest with him, Dexter's plan to kill him goes awry. 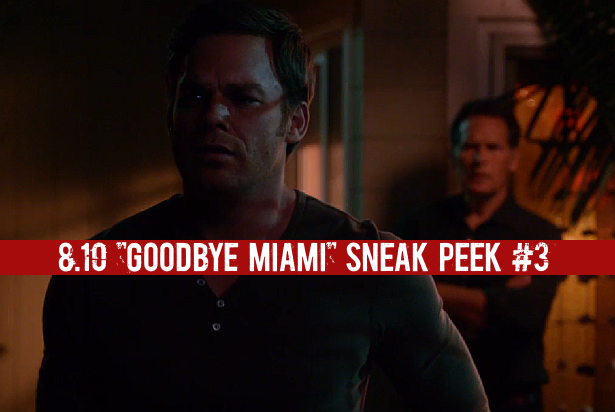 Watch below a third sneak peek clip from last night's episode of Dexter, 8.10 "Goodbye Miami".